Our mission is to end family homelessness in the San Francisco Bay Area. Our programs help families regain their housing quickly to restore the foundation for healthy lives. 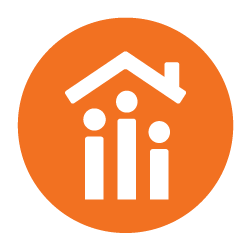 Hamilton Transitional Housing houses and supports up to 27 families at high risk for chronic homelessness for 6 to 18 months. Families receive intensive social services to identify and address factors contributing to their homelessness. Give to our organization's general fund and we'll distribute your gift to those at Hamilton Families with the most urgent needs.